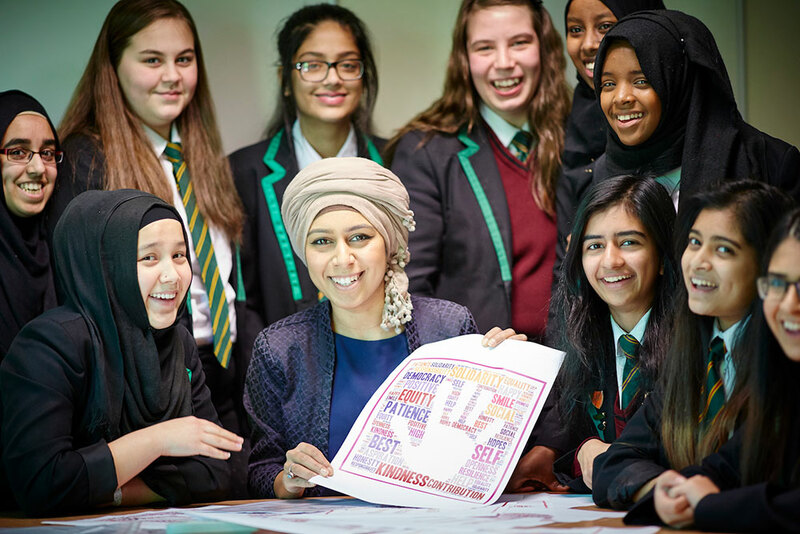 Our curriculum is founded on the unrelenting drive of the Trust’s community to educate, inspire and empower young people to be the next generation of leaders. We are dedicated to promoting the emotional, physical and social well-being of our diverse and multi-cultural population and aspire to be a centre of academic excellence for the education of young people. We will teach resilience and strategies for sustaining a positive outlook so students can achieve outstanding results and thrive in a challenging future, both academically and in their personal lives. As a Trust we are clear in our aim to instil in all young people a strong sense of belonging, identity and community: belonging to the Trust; belonging to the city of Manchester; belonging to Great Britain and, ultimately, belonging to a peaceful world. We are fully committed to providing a broad, balanced, inspiring and challenging curriculum for all our young people which equips them with high quality, relevant qualifications, skills, qualities and attributes to give them choices, a sense of ambition and able to make a positive contribution as a 21st century global citizen. We provide many rich opportunities for cultural engagement to develop an appreciation of the arts. We draw on all aspects our diverse communities to celebrate culture, recognising that fostering creativity enables deeper levels of critical thinking, the ability to question, innovate and problem solve. We maintain a clear perspective on life beyond the Trust by working in successful partnership with our feeder primary schools, other secondary schools, and further and higher education providers and employers. 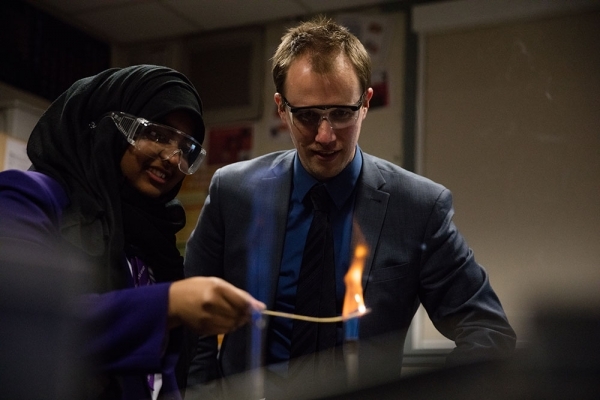 We place a strong emphasis on ensuring that our students are fully aware of careers and opportunities in Science, Technology, Engineering and Maths so that they have the best opportunities to support Manchester ambition to be a top global city, whilst at the same time recognising that they may prefer to follow careers in a wide-range of sectors. Our mission is to educate, inspire and empower young people to be the next generation of leaders. In order that our students have embedded lifelong learning habits, we place a sharp focus on actively teaching study skills so that all students can be effective in their learning post 16 and post 18 years of age. The curriculums of our Academies extend to a broad range of extra-curricular activities, not just those times spent within formal lessons. All students have access to and are actively encouraged to take part in an extensive programme, which seeks to extend their learning and widen their life experiences. We proactively seek to use active partnerships to support learning wherever possible and encourage students to interact with speakers and visiting groups, industries and organisations to extend their communication skills and learning capacity. Developing leadership skills is an important part of our work; our wide-ranging extra-curricular programme enables all students to pursue particular areas of interest, develop new skills, nurture leadership skills and learn. We provide opportunities to enable students to develop self-esteem and self-motivation and help students respect the rights of others. 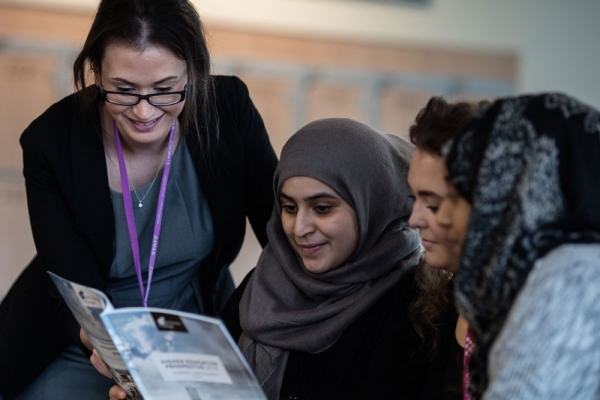 Leadership posts are offered across all areas of school life so that as many students as possible have the opportunity to develop the qualities required to lead others and work highly effectively as part of a team. The Education and Leadership Trust holds firm the notion of social responsibility. To this end, students are guided to take advantage of volunteering schemes such as National Citizen Service (NCS). These opportunities provide students with interesting challenges and build skills for work and life. The Education and Leadership Trust is committed to creating and maintaining a safe learning environment where all students and adults feel safe, secure and valued, and where they know they will be listened to and taken seriously; our curriculum provision both inside and outside of the classroom reflects this. Our assessment practices support meta-cognitive processes to enable students to identify their areas of strength and those for development, generating actions to address these. Learning opportunities are framed in such a way that inquiring minds can take academic risks in a safe space. We seek to build students’ resilience through all learning experiences in a positive, safe and stable learning environment. Maintaining a healthy lifestyle is important. We promote physical activity strongly and students profit from a wide range of exciting sporting opportunities and we provide opportunities for all members of the Trust’s community to be physically active throughout and beyond the school day. We facilitate opportunities for our students to meet sports people to provide inspirational role models in the world of sport. The Education and Leadership Trust works to enable all members of our Trust’s community to understand the importance of physical activity through the provision of information and the development of appropriate attitudes and skills. Ensuring students understand the importance of healthy eating habits is a key part of our work. Through curriculum content, extra-curricular programmes and our dining facilities, we ensure that members of the Trust’s community understand the importance of a healthy, balanced diet and lifestyle. Through a rich programme of careers education, information, advice, guidance and work related learning activities, the Education and Leadership Trust develops the employability skills of young people, raises standards of achievement and encourages positive attitudes to lifelong learning. Opportunities are provided both within our various curriculum areas and outside of the classroom to develop enterprise skills as a key attribute of making a positive contribution to both public and private sectors, and to our students’ communities. All students have the opportunity to take part in a formal work experience during Year 10. Supporting our aim to instil a clear sense of belonging and identity, our students each belong to a vertical tutor group. This means they meet each day with a dedicated form tutor and are in a mixed-age tutor group. Working together in this way means students learn about the school journey as they experience the process from the other students in the group; they are able to support each other and this facilitates opportunities for older students to excel as role models for their younger peers.